Dave Obee states in the introduction to this book that his purpose is to “give you glimpses of the people and events that shaped our community and our province” (1). In this goal, Obee succeeds admirably. Through well-chosen historic articles and photographs, Making the News demonstrates how the Times Colonist interpreted local and international events from its inception in 1858 until almost the present day. Making the News is organized chronologically into sixteen sections. Each section is prefaced by a short essay and a profile of a historic figure. Obee utilizes these introductory remarks to contextualize the key persons and events that epitomize each decade in question. Following Obee’s signposting, each section then features a series of historic Times Colonist articles. These historic articles are the book’s greatest strength. They facilitate an encounter with the writing style and diction of yesteryear, and they allow readers to engage with the people and events that exemplified the past one hundred and fifty years. Obee is to be commended for the amount of labour that has gone into Making the News as the articles chosen represent only a fraction of the material that may be drawn upon. In addition, Making the News is particularly enhanced by its collection of historic photographs, which are displayed to good result by its large coffee-table format. 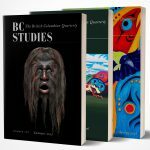 I anticipate, then, that Making the News will appeal not only to readers with a particular interest in British Columbia but also to history instructors across Canada. Making the News is a perfect supplementary text to the University of Victoria’s online edition of the Times Colonist and could be utilized as an introductory text to focus students’ exploration of the Times Colonist database. However, I stress the book ’s supplementary quality. It does not offer an in-depth analysis of either the Times Colonist’s particular role within Victoria’s press or how that newspaper made rather than simply reported the news over time. While it is important to recognize that Making the News was not written primarily for an academic audience, it is useful to reflect on some of the assumptions implicit within it and its position within the historiography of British Columbia’s press. Obee’s choice of historic Times Colonist articles implicitly stresses a progressive vision of Victoria’s civic development. While tragedy and hardship are chronicled in Making the News, their purpose is to illustrate citizens’ triumphs over adversity. Considering just one historical silence within this book, Obee’s choice of historic “highlights” appears to excise British Columbia’s experience of colonialism from the Times Colonist. Hence, the book studiously avoids articles that would illustrate the Times Colonist’s own role in marginalizing local Aboriginal peoples or in articulating the racial biases of a particular era. I imagine that Obee must have struggled with the question of what historic topics to include in Making the News. What is missing from it are examples of historic articles that display attitudes and ideas antithetical to contemporary values. Yet they, too, are part of the Times Colonist’s legacy. Certainly Obee’s conclusion is correct: that “contemporary newspapers give us history on the fly. They are essential to our understanding of the past, and are used by professional researchers and amateur historians – and everyone in between – to flesh out the skeletons of history” (1). Yet, despite the importance of newspapers to historians, they have been under-examined as topics of analysis. Making the News implicitly reflects this lack of critical scholarship on the BC press. It is no coincidence that Obee’s description of Amor De Cosmos’s editorial manifesto in the mid-nineteenth century is more detailed than are those of other editors and owners of the Times Colonist. De Cosmos’s idiosyncratic character, important political career, and role in facilitating British Columbia’s federation with Canada have encouraged historians to analyze his use of the press as a political tool. This interest is reflected in the historiography, with analyses of De Cosmos and the press appearing in works by Margaret Ross, Roland Wild, and George Woodcock. No doubt other editors and owners used the Times Colonist for similar purposes, but their preoccupations and aspirations have not been subjected to critical scrutiny. Notwithstanding my comments regarding what Making the News is not, I recommend it for what it is. Obee has crafted a valuable contribution to Victoria’s historic memory, which will be a useful supplementary text to the Times Colonist’s online edition. Best of all, Making the News will inspire its readers to explore further the Times Colonist itself.